72 Broadwick Street in Soho was acquired from the University Superannuation Scheme for £67 million, at a yield of 4.7%. 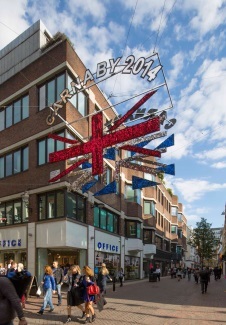 Arbrook Land will be managing the future redevelopment of this landmark building, which fronts Carnaby Street and Broadwick Street, for Legal & General Capital and Dutch pension fund manager PGGM. The property includes over 11,000 sq ft of residential space and 54,097 sq ft of offices let to the National Magazine Company (parent company Hearst Corporation) for 15 years, expiring on 17th September 2018.